Completing our conscious evolution by releasing our collective fear of catastrophes . Explains how we are on the cusp of an era of incredible creative growth . Shows how we are about to overcome the collective fear caused by ancient catastrophes as we awaken to the memories of our lost prehistory . Examines legendary cataclysms and scientific evidence of a highly advanced global culture that disappeared 11,500 years ago In this completely revised and expanded edition of Catastrophobia, bestselling author Barbara Hand Clow explains how we are on the cusp of an age of incredible creative growth made possible by restoring our lost prehistory. Examining legendary cataclysms--such as the fall of Atlantis and the biblical Flood--and the mounting geological and archaeological evidence that many of these mythic catastrophes were actual events, she reveals the existence of a highly advanced global maritime culture that disappeared amid great earth changes and rising seas 14,000 to 11,500 years ago, nearly causing our species' extinction and leaving humanity's collective psyche deeply scarred. Tracing humanity's reemergence after these prehistoric catastrophes, Clow explains how these events in the deep past influence our consciousness today. Guided by Carl Johan Calleman's analysis of the Mayan Calendar, she reveals that as the Earth's 26,000-year precessional cycle shifts, our evolution is accelerating to prepare us for a new age of harmony and peace. 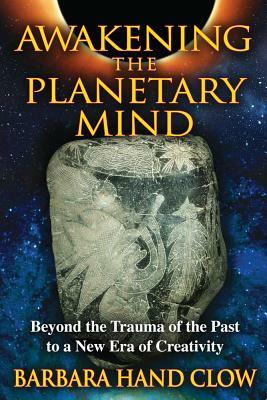 She explains how we are beginning a collective healing as ancient memories of prehistory awaken in our minds and release our unprocessed fear. Passed from generation to generation, this fear has been responsible for our constant expectations of apocalypse. She shows that by remembering and moving beyond the trauma of our long lost past, we bring the era of cataclysms to an end and cross the threshold into a time of extraordinary creative activity.